Start a conversation about vintage wristwatches and you’ll inevitably end up down a military history rabbit hole. 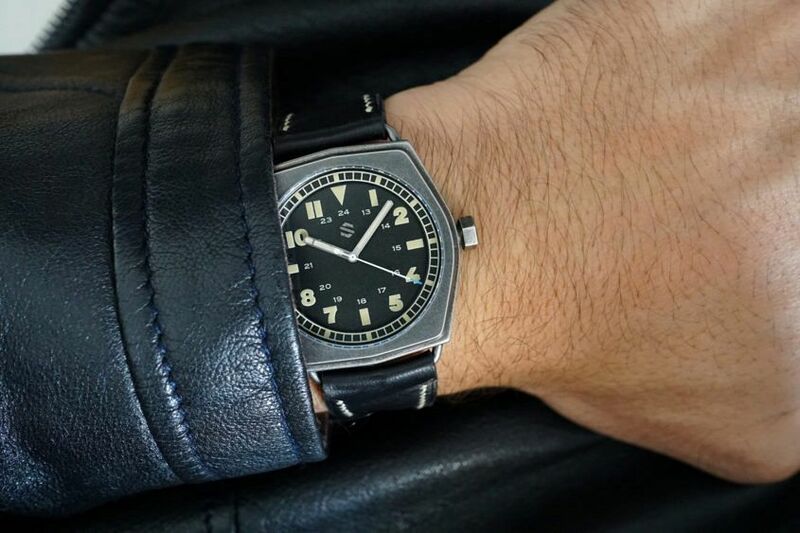 With collectors and everyday buyers alike appreciating – and downright loving – the connection these simple military-issued watches have to history. A history that began with the First World War, where a “luminous wristwatch with unbreakable glass” was the first item on a British officer’s kit list. Nowadays, however, you don’t need to be one of the “few good men” to own one, with no shortage of brands out there offering all the legibility, strength and usability of a great military-inspired watch. Like Californian microbrand Seals Watch Co and their latest release, the Model C Field Explorer. 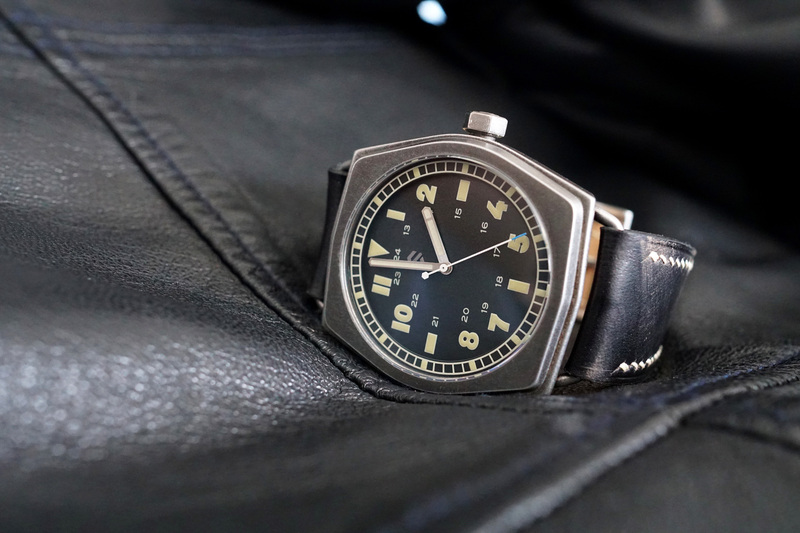 World War II saw the introduction of a set of design requirements that now defines the military watch aesthetic we know today. And re-creating these guidelines, the Model C Field Explorer uses a lightly granulated black dial (also available in blue), Arabic numeral hour markers, luminous hour and minutes hands, a railroad minute track, sapphire crystal and a stainless-steel case. 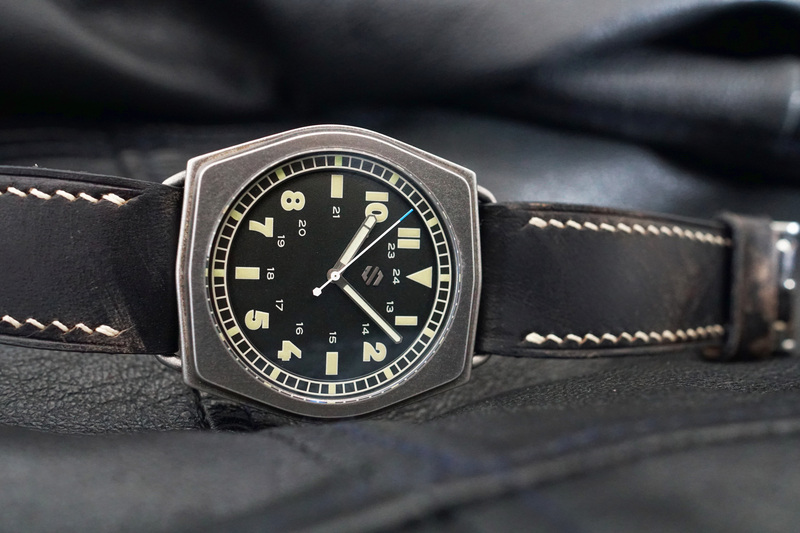 Measuring 40.5mm across and 11.40mm thick, the case is shaped like the battle tanks of the 1940s, with a water resistance of 200 metres, and is available in a number of finishes – with the piece I was sent for review finished with an aged look. Wire lugs attach the handmade leather strap, with a steel buckle that matches the finish of the case. And powering the Model C is a movement we’re starting to see become a lot more popular amongst the microbrand community, the Swiss Technology Production STP 1-11. With a 44-hour power reserve, the automatic STP 1-11 beats at 4Hz and features hacking seconds, 26 jewels, and a perlage finish. Most impressive, however, is its chronometer-like rating, with the movement regulated to within -4 to +6 seconds a day. At first, I wasn’t sure how I’d like the battle tank-shaped case. Tonneau style cases are just not my cup of tea. However, there was something different about the Model C. Sitting low and comfortable on the wrist, the 48.5mm lug to lug was just perfect. And I couldn’t help but feel like I needed to throw on a leather jacket, grab a Café Racer and hit the wide open road. 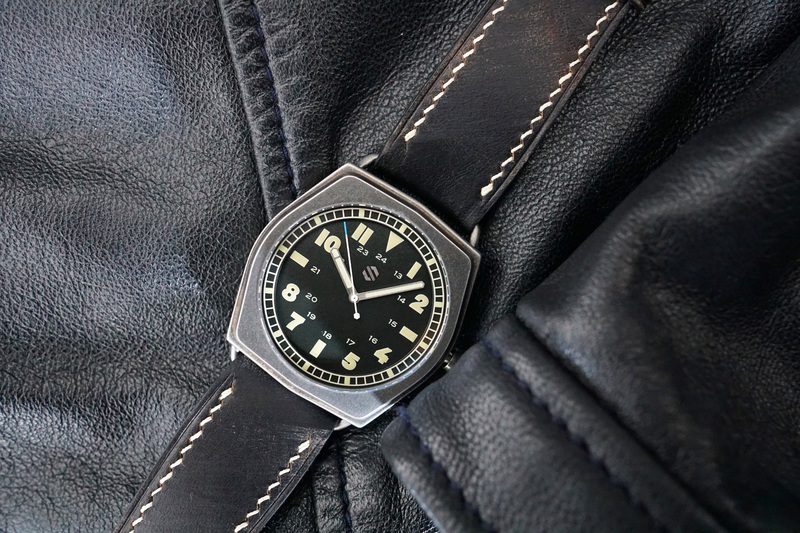 Whether you’re looking for a rugged watch that’s fit for service, or just looking to up your military-chic fashion cred, the Model C may just be the one for you. Definitely the use of the STP 1-11 movement. Manufactured and wholly owned by Fossil, Swiss Technology Production have re-opened the door to the microbrands, and given them a movement with some serious bang for buck. Something that I – as both a watch guy and a microbrand guy – can get behind.